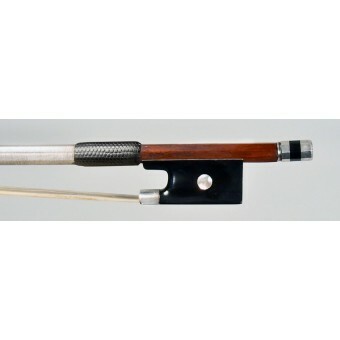 European Violins offers a fine collection of fine French violin bows. For many violinists, French bows are still considered as the best bows in the world. We have many fine French violin bows and cello bows listed in our website. Every bow is carefully examined and selected according to our strict criteria. For fine certified French violin bows we offer the best prices on the internet. 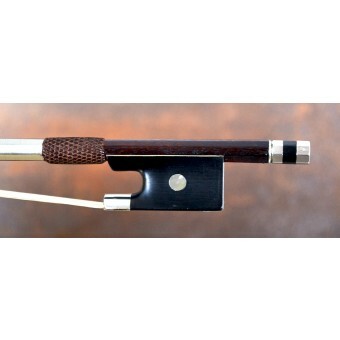 Our violin bows come with new hair, winding and leather grip. Our selection of French bows is in continuous expansion, so please visit us regularly to take advantage of the best deals ! We also offer a safe shipping-and-return trial period so that you can buy your violin bow with confidence.